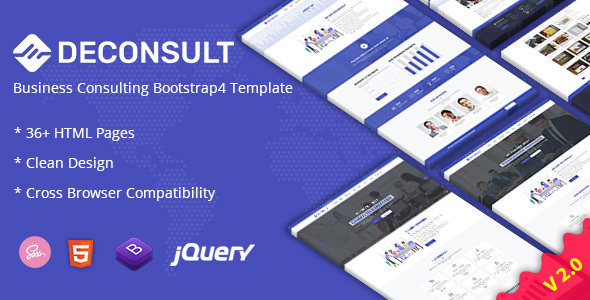 Deconsult is a business consulting HTML template which comes with the unique and clean design. It helps you to create a beautiful business consulting HTML website. It has also e-commerce support. E-commerce pages are included on this template. - fixed: Page loading speed. - added: 404 page added.